Gordon “Butch” Stewart, Sandals’ chairman, launched the new village at an official opening ceremony attended by dignitaries ranging from Anya Williams, the acting deputy governor of the Turks & Caicos, to Jamaican prime minister Portia Simpson Miller. The ministers of tourism of Antigua & Barbuda, Jamaica, the Turks & Caicos and St. Lucia were present as well. 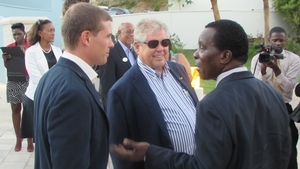 The gallery of influential government and tourism officials from several Caribbean countries highlights Sandals Resorts ever-growing influence as the premiere Caribbean-based resort operator in what stakeholders have described as the world’s most tourism-intensive region. The company’s emphasis on premium accommodations, amenities, facilities and services and its strong Caribbean branding in have come to represent the prototypical sun-and-fun vacation experience. 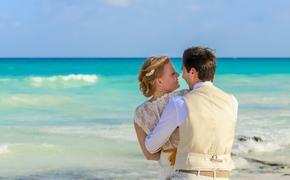 In many ways, Sandals has played a key role in the popularization of contemporary Caribbean travel. That success has extended to destinations, airlines and a wide array of tourism stakeholders and suppliers. The new wing, like the resort itself, is certainly aimed at the family market, and every sub-group within that broad category. Families with young children and multi-generational families, including babies, grandparents and teens, were in evidence across the property during the week of the grand opening. During the week I spent at the resort I observed at least two wedding parties, groups of girlfriends and DINK parents re-connecting with their college-bound and professional young adult children. The expansive resort’s facilities and amenities are extensive, and range from 19 bars and restaurants to a supervised children’s program to a full-scale water park featuring waterslides, kid-friendly pools, water cannons, whirlpools and a lazy river. There’s also a Trench Town teens-only game room, an Xbox Play Lounge, the Liquid at Beaches nightclub and six pools, three with swim-up bars. 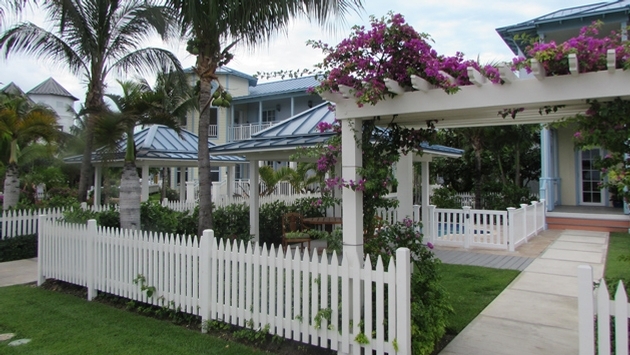 The Key West Luxury Village is the resort’s first new addition since the Italian Village debuted in 2009. Stewart called that wing the linchpin in the company’s strategy to attract clientele seeking a deluxe vacation experience – and willing to pay for it. The approach has not only made Sandals successful, but provided opportunities for travel agencies and tourism marketers, Stewart said. “We are the only Caribbean operator that can get volume and rate for a tour operator,” he said. Beaches Turks & Caicos’ Caribbean Village will be revamped beginning in December. “If your hotel gets tired, you are buried,” he observed. The renovation will come amidst a wide variety of similar initiatives at the company’s resorts in other Caribbean destinations. Sandals launched its newest property, the new Sandals La Source Grenada, in February. The company is in the midst of a $65 million renovation at the Sandals Barbados resort, with the re-opening scheduled for January 2015. Sandals has also reached an agreement with Barbados’ government to build a new Beaches Resort at the site of the former Almond Beach Resort. The company has also shared its plans to re-brand the company’s Grand Pineapple Resort in Antigua as a Beaches property, although it has not announced the project’s expected completion date. Sandals is also implementing deluxe enhancements at its resorts in Stewart’s home country of Jamaica. Stewart said the company will start construction on five 1,200 square foot suites positioned over the water at the Sandals Royal Caribbean in Montego Bay. “The water suites are best of what the Maldives have to offer we are bringing to the Caribbean,” he said.